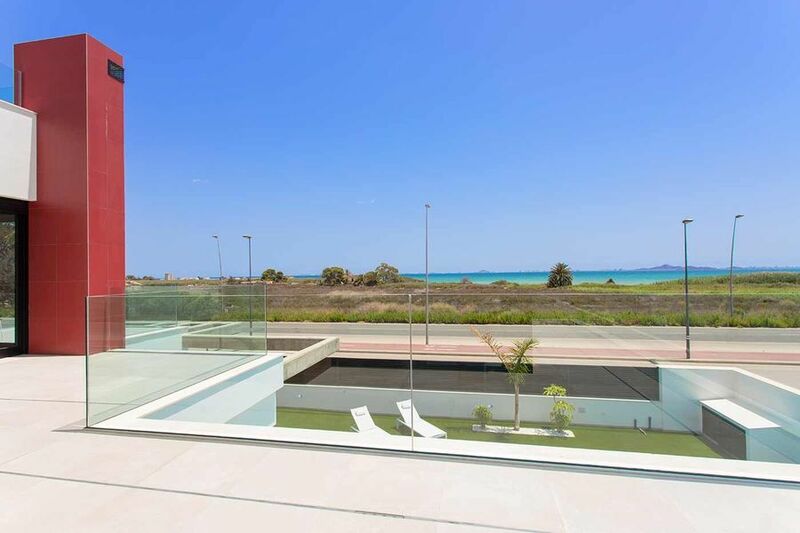 Currently under construction are these beautiful, Los Alcazares bespoke villas. 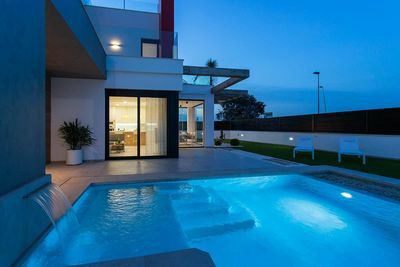 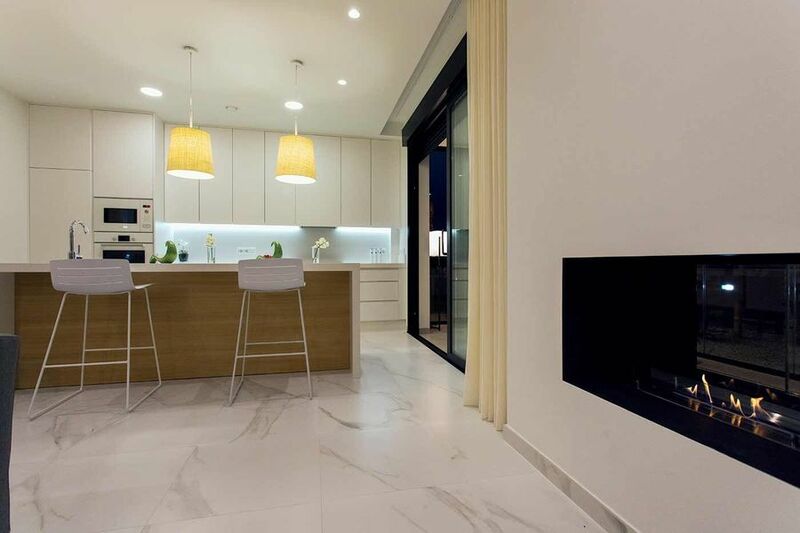 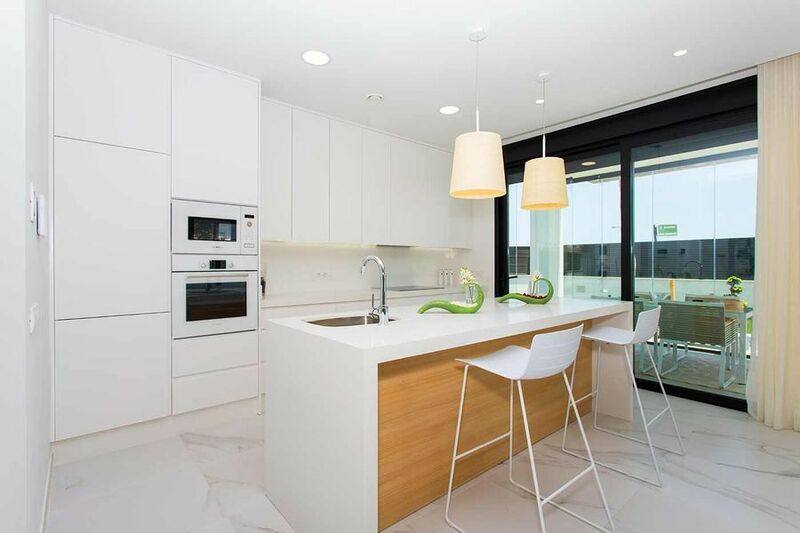 Located close to the water&'s edge of the Mar Menor. 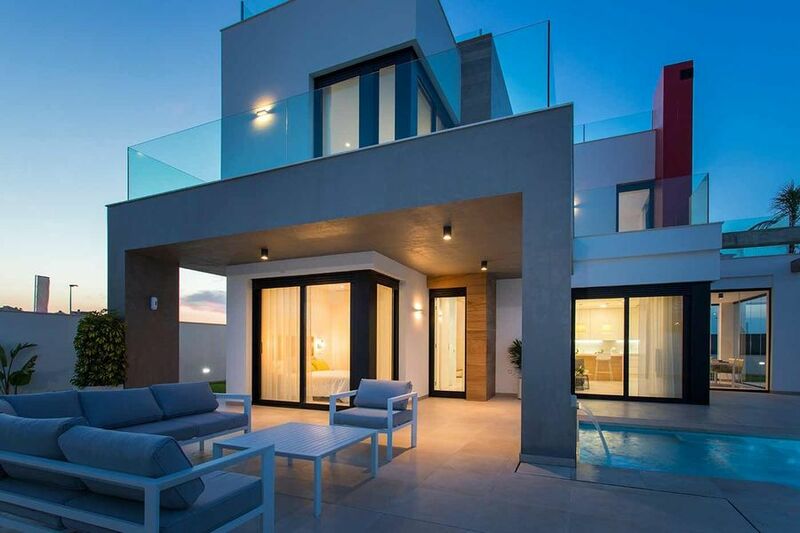 Each villa is being built to the highest standards and will come with a long list of customizable features. 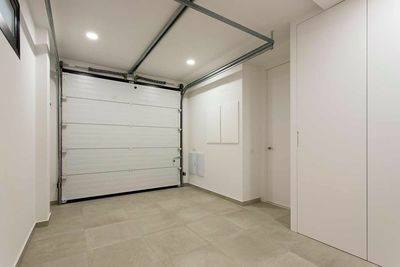 You enter the villa via the secure gated entrance complete with video entry system, or via car and straight into the internal garage. 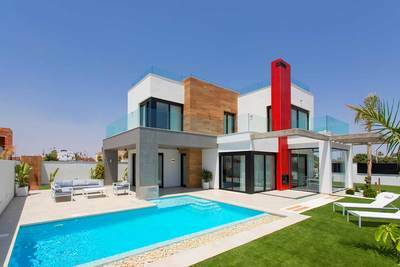 Once within the grounds you cannot help but be amazed, by the lush gardens and planting, to the modern architecture of these homes. Once inside there is a fantastic open plan main living space, there are some great features in here like the double-sided fireplace, and automated lights, and blinds. 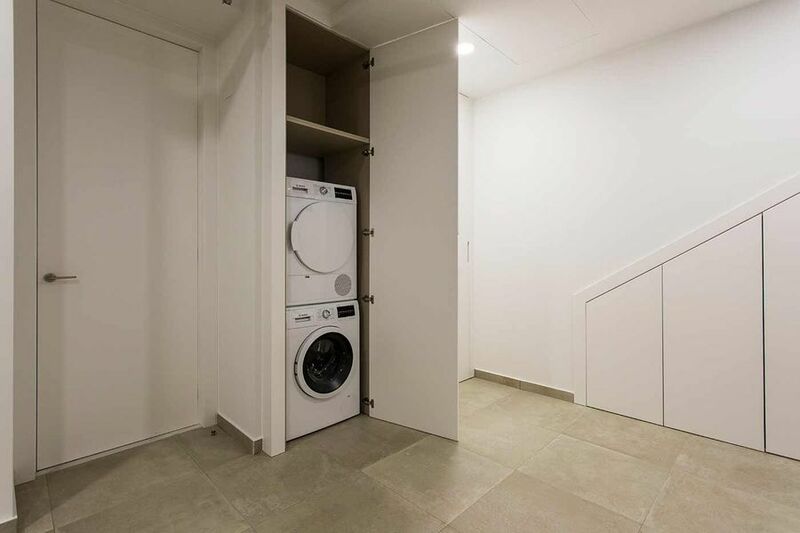 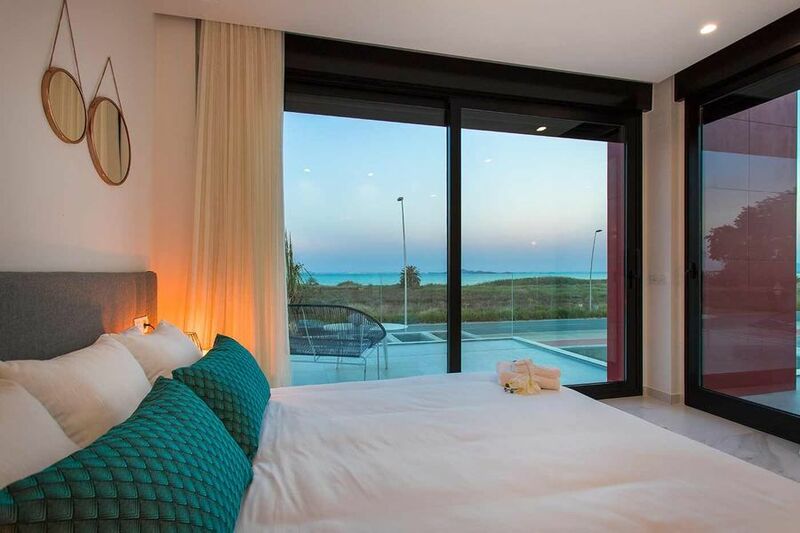 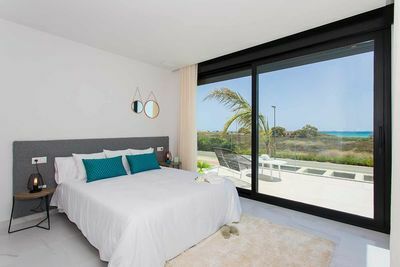 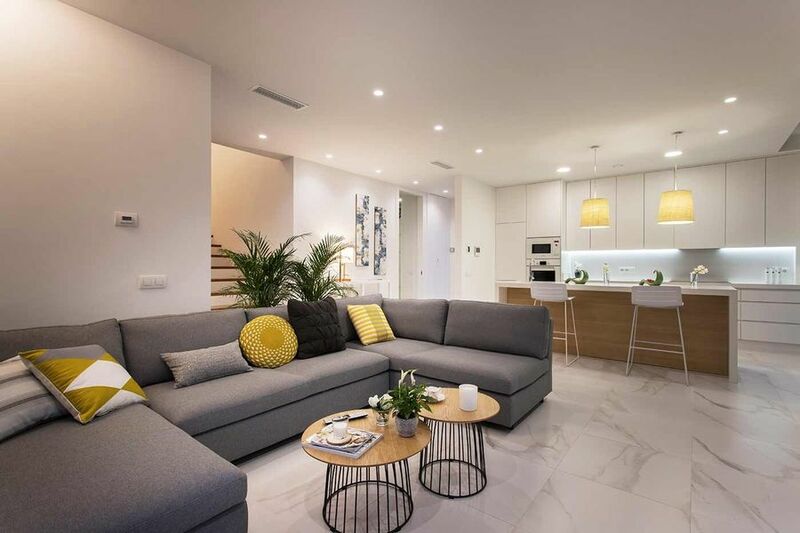 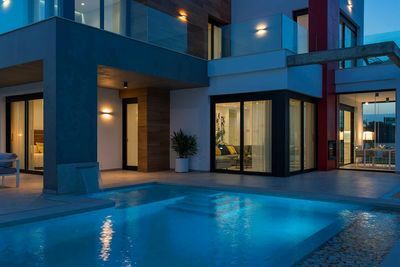 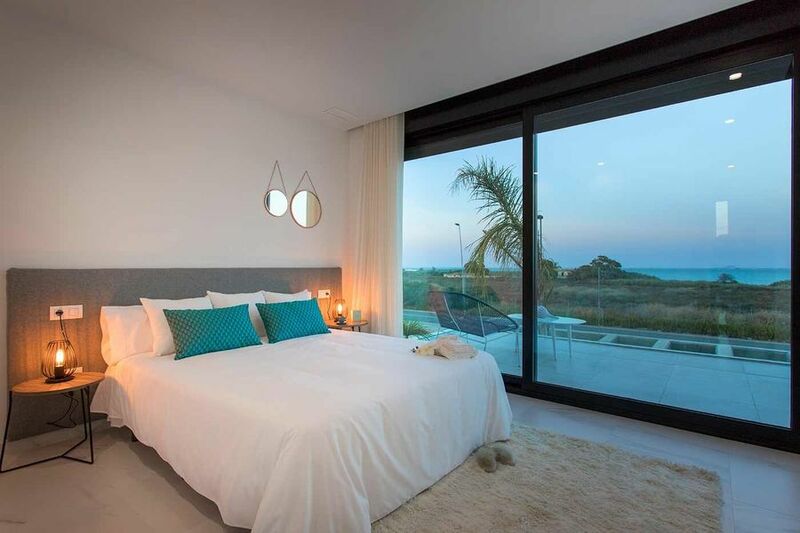 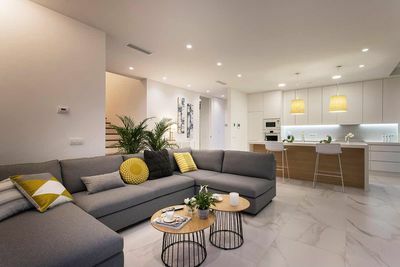 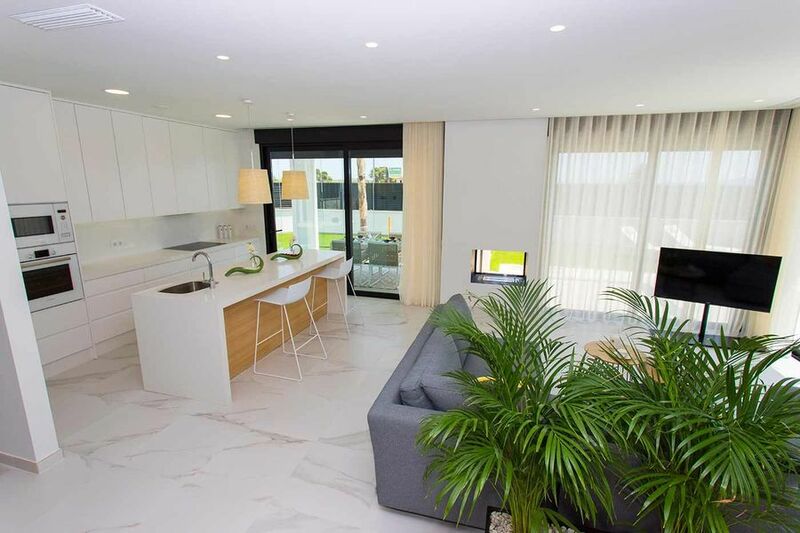 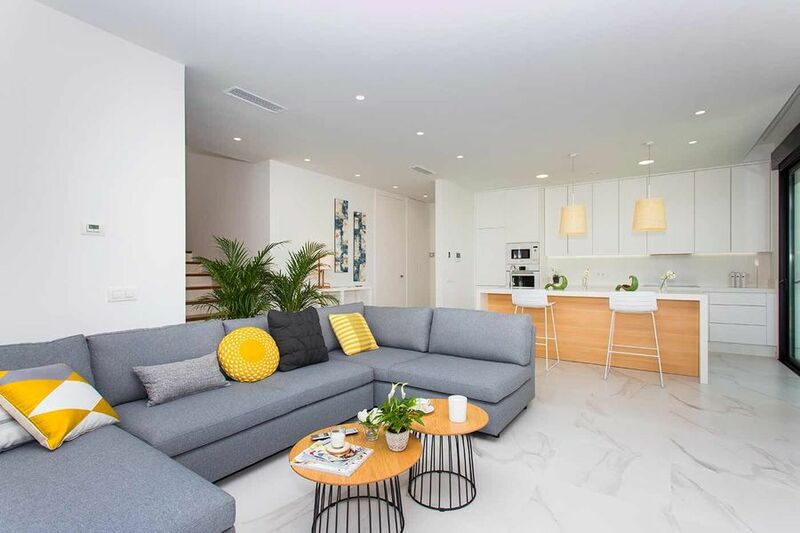 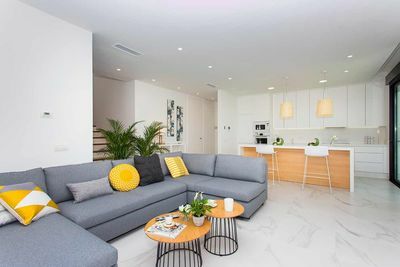 The developers have made great use of the light on offer inside the villas with full height windows, and sliding glass doors giving you access out to the garden, terraces, seating areas and stunning private swimming pool area. 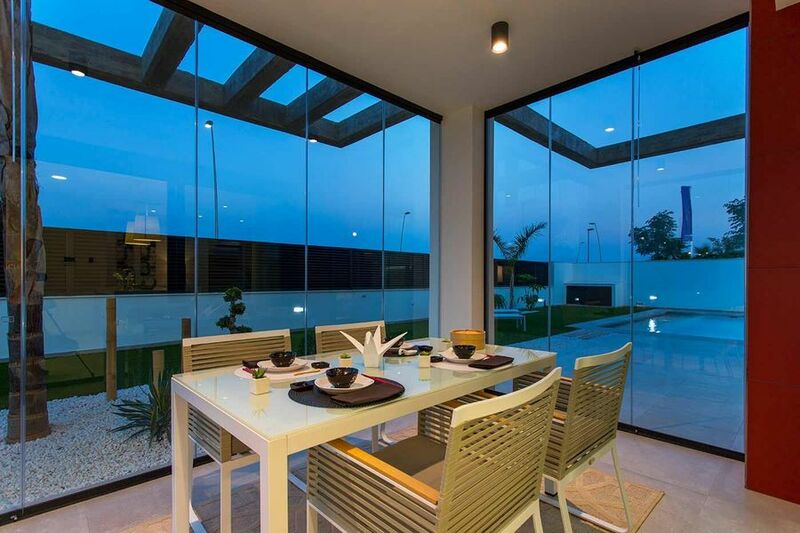 Back inside there is an ultra Modern kitchen, with a selection of integrated appliances, and to the side is the dining area, complete with sliding glass curtains, enabling you to eat outside or in !. Still, on the ground floor there is a large double bedroom with fitted wardrobes, and access out to the garden areas. 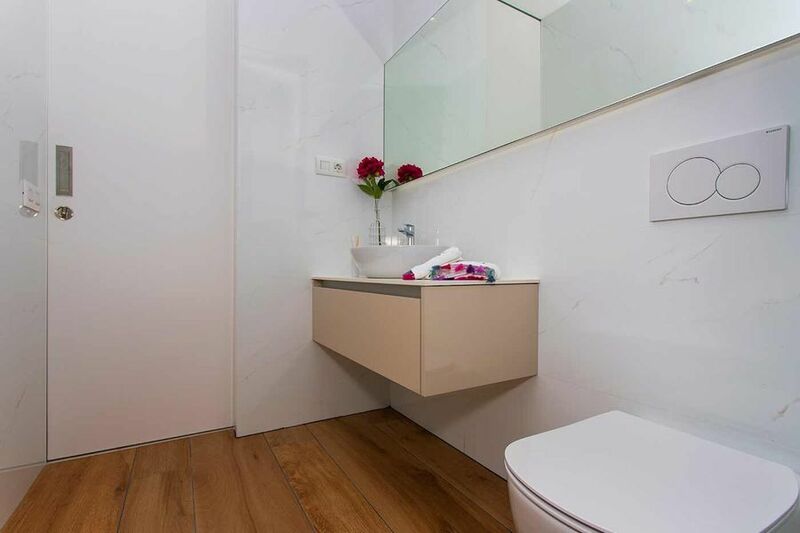 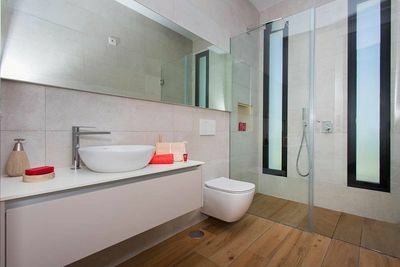 There is also the first of 3 modern bathrooms on the ground floor. 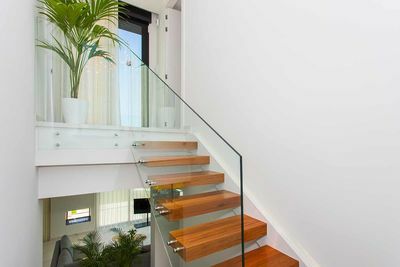 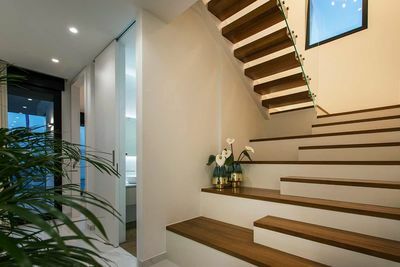 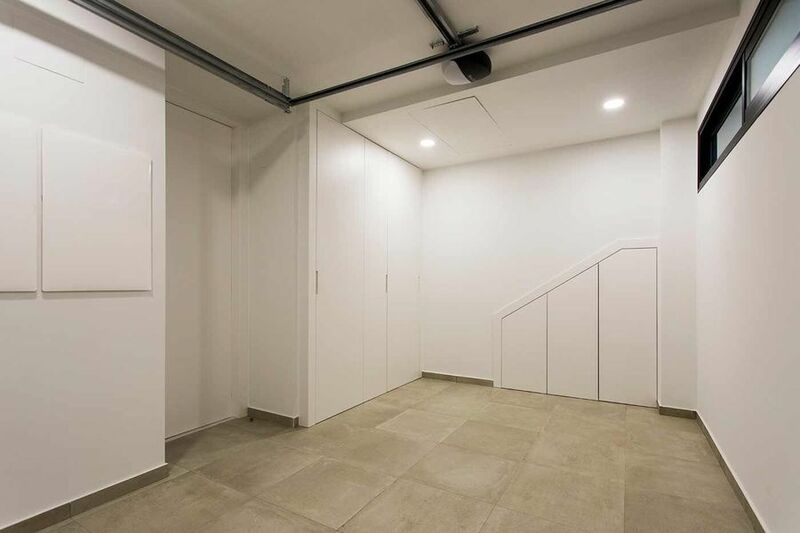 As you make your way up the ultra-modern wooden and glass staircase, you access the first floor. 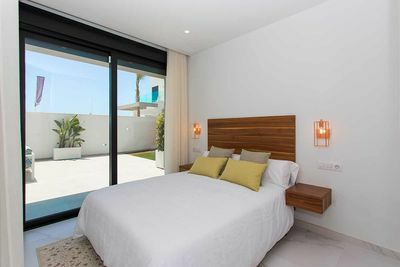 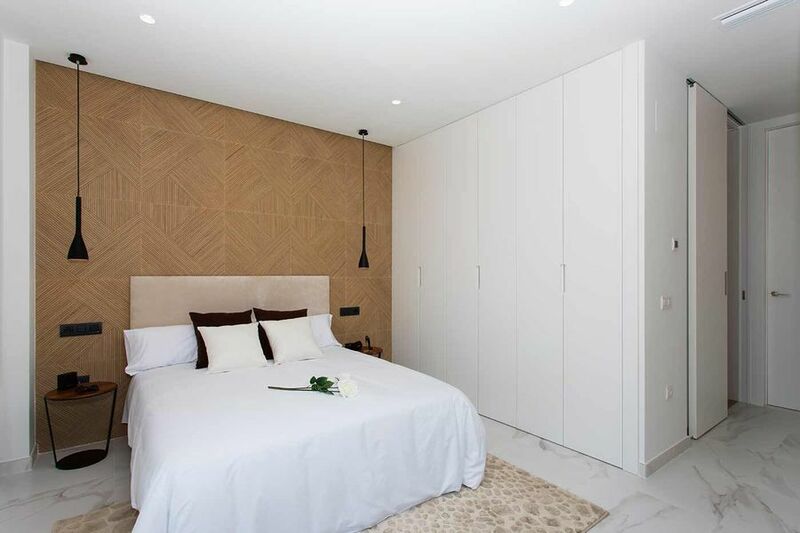 Here you will find 2 large suites, complete with modern en-suite bathrooms, fitted wardrobes, and their own private terraces with views over the Mar Menor and out to La Manga. 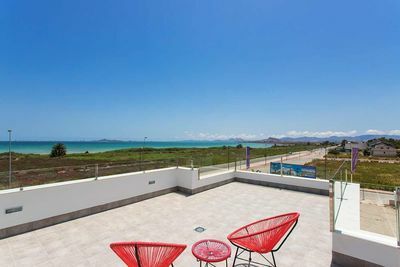 To the rear of the hallway is another terrace with stairs leading up onto the rooftop solarium offering the most amazing views of the whole of the Mar Menor. 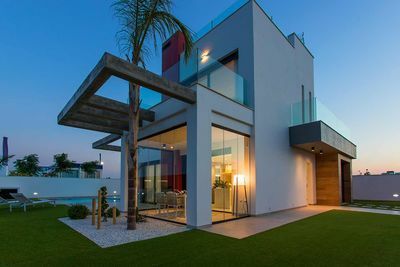 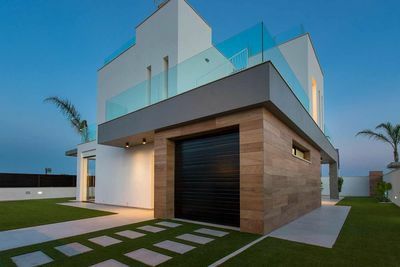 This really is a spectacular home and the list of features is endless from the home automation system, underfloor heating, outdoor waterfall and many other unique design elements. 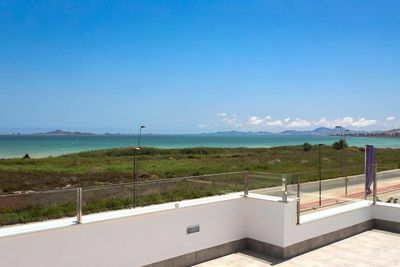 This really is a chance to own a unique home with a view that you would never tire of !. 3 great sized double bedrooms, with fitted wardrobes, and terraces with views of the Mar Menor. 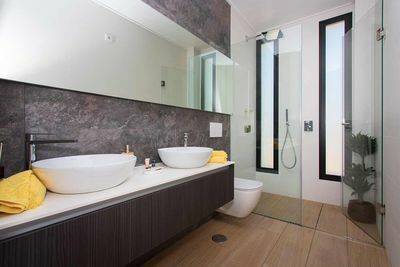 There are also 3 modern bathrooms. 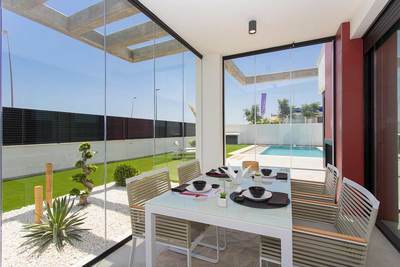 Outside there is a large private swimming pool, and beautiful bbq and terrace area. 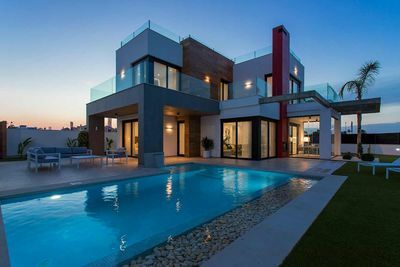 These stunning villas must be seen to be appreciated.